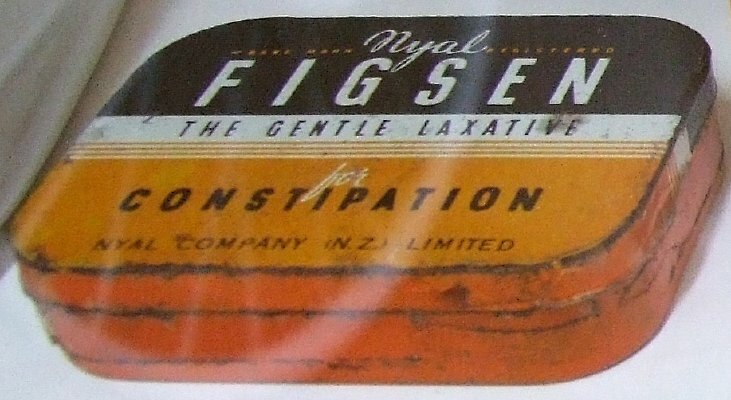 Description Tin of Nyal Figsen laxative tablets. Part of the Picton Hospital Medical display. Donor not stated.